Let's celebrate the goodness of the Lord together. Get the Latest Live Oaks News Here! 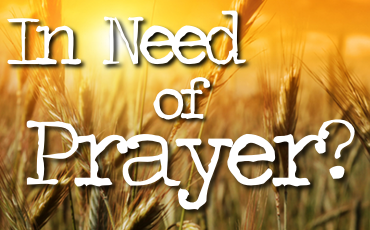 I would like for someone to pray for me. What is the sum of 7 + seven? At Live Oaks Community Church we are a fellowship of Christians who are comfortable in our own skins. We are real people, worshipping a real God, and growing through real stages of spiritual development, in real relationships with one another. When entering the front doors of Wilbur Middle School on a Sunday morning you are welcomed in a sincere easy going way. If present in worship you are simply accepted and belong as a seeker of Christ and a worshipper of God, Almighty. Our morning service has a standard format. However, we seek to be flexible enough within an intentional framework to follow the Holy Spirit’s spontaneous lead in any given worship gathering. Many feel when they step into our service, like they are stepping into a small group in someone’s home. This atmosphere is created in part by our contemporary worship approach, opportunities to actively participate, and the personal way we share prayer needs and praises. Children and youth are seen as active participants in worship. Yet, J-Kids Junior (4yrs-1st grade) and J-Kids (2nd-5th grade) are dismissed just before the morning message for an age appropriate Bible lesson. Ample time is given each week for the teaching and application of God’s word, the Bible. Messages from scripture are open, honest, and relevant to the lives we lead and God’s kingdom work on earth. Our goal as a church is to partner with the Holy Spirit of God in making disciples by leading people to receive God’s love and word, grow in God’s love and word with others, give God’s love and word in service, and lead others to God’s love in Jesus Christ and the process of becoming His disciple. This is the guiding mission of all ministries of Live Oaks. 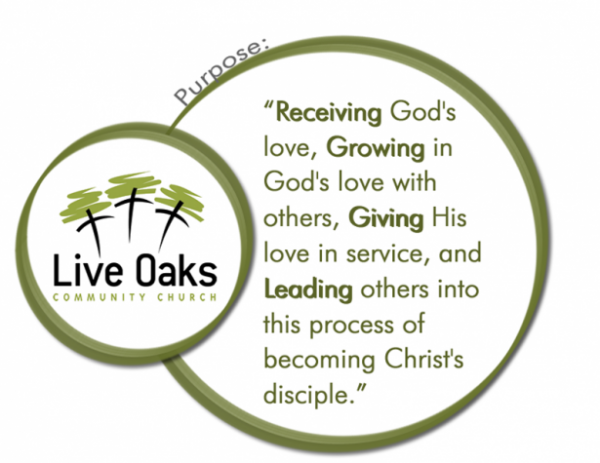 Live Oaks is a Church family you can call your own. Its a place were you can come as you are, join in all the fellowship and grow in the Lord. 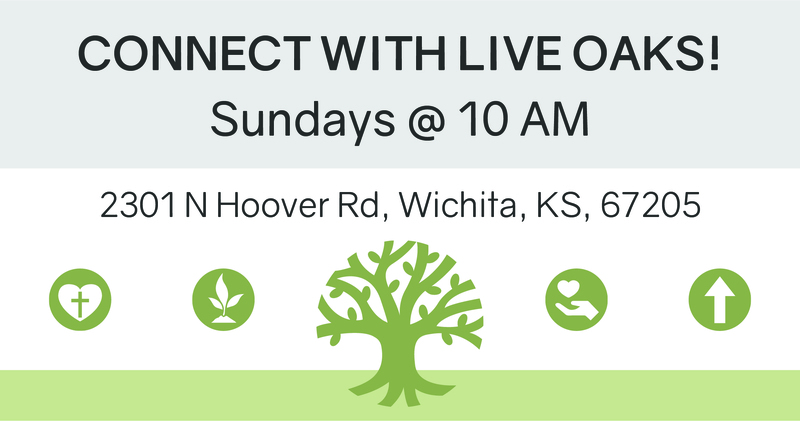 Join us on Sunday mornings at 10. Don’t worry, we won’t start until 10:05am. See you Sunday!